South Park Episode 103 - "Volcano"
"Volcano" is the third episode of the first season of the animated television series South Park. It originally aired on Comedy Central in the United States on August 27, 1997. In the episode, the four main characters, Stan, Kyle, Cartman and Kenny, go on a hunting trip with Stan's uncle Jimbo and his war buddy Ned. 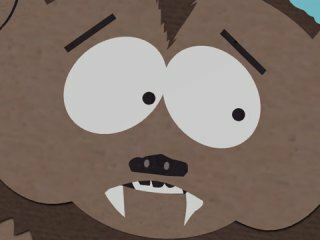 While on the trip, Stan is frustrated by his inability to shoot a living creature and Cartman tries to scare the hunting party with tales of a creature named Scuzzlebutt. Meanwhile, the group is unaware that a nearby volcano is about to erupt.